John Curran is the President and CEO of the American Registry for Internet Numbers (ARIN), responsible for leading the organization in its mission of managing the distribution of Internet number resources in its geographic region. He was also a founder of ARIN and served as its Chairman from inception through early 2009. John’s experience in the Internet industry includes serving as CTO and COO for ServerVault, which provides highly secure, fully managed infrastructure solutions for sensitive federal government and commercial applications. 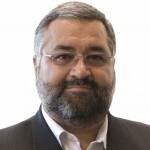 Prior to this, he was CTO for XO Communications, and was integral in leading the organization’s technical initiatives, network architecture, and design of leading-edge capabilities built into the company’s nationwide network. Mr. Curran also served as CTO for BBN/GTE Internetworking, where he was responsible for the organization’s strategic technology direction. He led BBN’s technical evolution from one of the earliest Internet Service Providers through its growth and eventual acquisition by GTE. He has also been an active participant in the Internet Engineering Task Force (IETF), having both co-chaired the IETF Operations and Network Management Area and served as a member of the IPng (IPv6) Directorate.